Opinion: Louis C.K. Can Say What He Wants, But At Least Be Funny "I don't think Louis C.K. is funny," NPR's Scott Simon says. A comic can be edgy, but one that's not funny "is no more interesting than any other muttering blowhard who craves attention." Louis C.K. in September 2017 in New York City. He jokes about Parkland shooting survivors in newly leaked audio from a comedy club. I don't think Louis C.K. is funny. That's the worst that can be said about a comedian. Not that they're offensive or outrageous. Great comics can offend and outrage people. But a comic who dares to be offensive, but isn't funny, is just a lout. 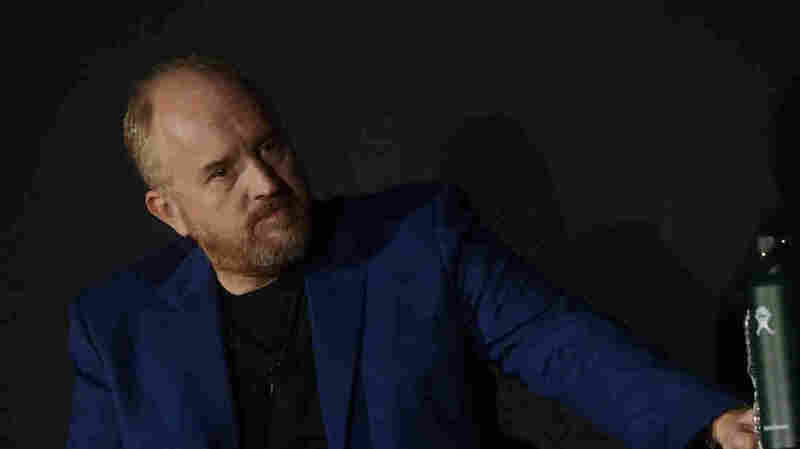 Louis C.K., who has been on NPR many times, and often extolled as edgy and unafraid, apologized in late 2017 for sexual misconduct with women. "There is nothing about this that I forgive myself for," he said then. "I will now step back and take a long time to listen." But he's back performing occasional sets; this week audio from a comedy club on Long Island leaked out. Louis C.K. made graphic, disparaging remarks about Asians, ridiculed young people who consider themselves neutral in gender, and made a sexually explicit joke about 9-year-old girls. What got most attention was when Louis C.K. talked about the students who lived through last year's high school shooting in Parkland, Fla., and have become political activists. "They testify in front of Congress, these kids?" he says in the audio. "You're young, you should be crazy, you should be unhinged, not in a suit. ... You're not interesting. ... You didn't get shot, you pushed some fat kid in the way, and now I gotta listen to you talking?" I don't know why this would make anyone laugh; but you hear laughter on the audio recording. The club's owner says Louis C.K. sold out all six of his shows to standing ovations. I don't believe Louis C.K. should be censored or publicly shamed into perpetual unemployment. People can choose to see him or not. But in these times, when comedy can be idealized as edgy, audacious and truth-telling, we can forget: It begins with a calling to be funny. Otherwise, a comic is no more interesting than any other muttering blowhard who craves attention. "They testify in front of Congress, these kids? They're young! They should be doing crazy things, like swallowing Tide Pods! Instead, some 19-year-old with a troubled history gets a hold of an AR-15 as easily as he'd buy a stick of beef jerky, kills 17 people, and these kids can no longer just be kids. They've seen their friends and teachers shot right in front of them. They're just kids! But now they have to tell grown-ups, 'Get off of Facebook and do something!' "